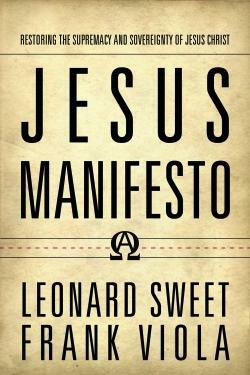 I don’t normally review books here at Cerulean Sanctum, but when offered the opportunity by Thomas Nelson to read an advance copy of Jesus Manifesto by Leonard Sweet and Frank Viola, two of the most prominent critics of traditional American Churchianity, I couldn’t pass. What drew me more than anything to this book, which released June 1, is summed up in the quote that leads off this post. Sweet and Viola mirror Raney’s song title in their insistence that the Church in America has descended into spiritual noise, much to the detriment of our grasp of the person of Jesus Christ. We seem to be about everything BUT Jesus. We act as if we barely know Him at all; if we did, everything about the Church would be different. Sweet and Viola diagnose this disaease as Jesus Deficit Disorder. Jesus Manifesto attempts to rectify that disorder. Sweet’s and Viola’s manifesto starts with a purge. The authors go right to the heart of the matter of the supremacy of Jesus Christ by calling us to re-examine what is meant by Acts 2:42’s mention of “the apostles’ doctrine,” noting all the debris that modern churches tend to teach has nothing to do with that doctrine, which is Christ Himself. We get sidetracked into eschatology, how to live by faith, spiritual warfare, evangelism, holiness, Bible memorization, and on and on. That list of diversions features a large number of sacred cows the authors eventually gore and then ask readers to purge. No Christian is left unchallenged. Much of the Jesus Manifesto centers on the Book of Colossians. Sweet and Viola mine an excellent Christology from the book, not only elevating Christ to the position He deserves, but also noting how Christ’s elevation is our own by virtue of us being in Christ and Him being in us. The contemporary Church’s failure to tell Christians who they are in Christ has done massive harm, and it’s a blessing to read works by modern authors that address this lack. Indeed, Sweet and Viola have given us in Jesus Manifesto a timely book filled with spiritual food a starving American Church needs to digest. If you have read Cerulean Sanctum for any length of time, you know my concern that we have lost our connection to the Head and have forgotten who we are and what we are to be about. Jesus Manifesto hits most of those points. 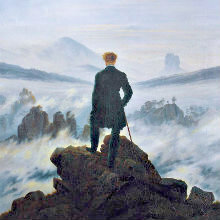 But the book is not without flaws, despite the fact that it focuses intently on our flawless Lord. As much as I found the book compelling in spots, it lacks the cohesiveness and majesty found in a similar book, A.W. Tozer’s The Knowledge of the Holy. Tozer’s book, which examines the character of God, is always riveting and powerful. Sweet’s and Viola’s book, in contrast, soars but equally drifts. One paragraph may be life-changing, while the next adds nothing—or worse, diminishes the profundity of the preceding words. The book struggles with flow, too. This may be due to attempting to cram the ideas of two fascinating thinkers into a sub-200-page book on the Lord of the Universe. While the authors have much to say, their framing methods for doing so lack a coherent base. Jesus Manifesto reads as if it were written by a committee. Together, these issues render Jesus Manifesto a huge paradox: a book that is too short and yet too long, profound yet prone to reader skimming, exciting and yet dull. In short, it needed an attentive editor to manage and direct these two intriguing authors. I would encourage others to read Jesus Manifesto, for it contains a valuable reminder of the real point of the Christian faith we believe and practice. Too much “rock ‘n’ roll” exists in the American Church. Less of that and more of Jesus Himself is most definitely the cure for what ails us. Instead, that title exists because of a common criticism I see in the comments of other blogs. A Godblogger posts on some topic and, inevitably, a reader comments that the posts was essentially nullified by a lack of Scriptural citations. Never mind that the entire post speaks from the whole revelation of Scripture. Too few Bible verses plucked from Haggai or Philemon and the whole thing topples like an Enlightenment house of cards. I saw such a criticism on another blog that linked to my post from last week, “Leer and Foaming in Las Wendy’s.” The commenter at that other blog didn’t like that I failed to quote the same verses on modesty that we’ve all heard a million times. Never mind that part of my point was that we know what to do, we just don’t do it; because I cited no Scripture, I had no real Christian admonishment worth reading. I’m not bothered by that comment. I’ve no verse citation quota to live up to. I’ve included enormous numbers of verses in many of my posts to underline points—enough to get the imprimatur of whatever Evangelical pope exists. But something’s missing. We’ve overlooked the best for the good. 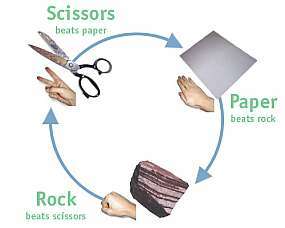 The result is a perpetual game of Rock, Paper, Scissors in which your passage from 1st Corinthians beats her chapter from Leviticus, which annihilates his verse from Revelation. And yet I imagine that many Christians today are sitting back and thinking what all that verse-slinging has gotten us. I mean, are we truly happy with the state of the Christian Church in the West today? 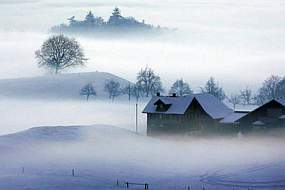 Late last year, I read an excerpt from a book by Frank Viola, a house church proponent. The excerpt had little to do with house churches and everything to do with the way Christians today handle the Word of God. And unlike most things I read, eight months have gone by and I still can’t get Viola’s excerpt, “The Bible Is Not a Jigsaw Puzzle,” out of my head. I’ve exhausted more mental time thinking about the ramifications of Viola’s argument than nearly anything I’ve considered in the last year. I’m not even going to attempt to excerpt his excerpt. Read the whole thing. I promise it’s worth it. Most of us have seen the fallout from our overemphasis on chapter and verse. People can quote verse after verse of Scripture, but their micro-understanding of God’s Word suffers in comparison to His macro-revelation. It’s a little like being given the key to an Aston Martin Vanquish, only to rejoice in the key and not the whole car. If you never drive the thing because you don’t know a steering wheel from a ferris wheel, then what’s the point? Too many Christians fail to grasp the overarching testimony of the Scriptures. We may talk about a Christian worldview, yet hardly anyone correctly handles the entirety of Creation, Fall, Redemption, and Restoration. Can’t I make a case for God’s enduring love for us humans, His ultimate creation, without citing John 3:16? If I don’t mention Romans 12:1, can I still talk about worship? If I cite no Scriptures at all, but appeal to their truth in their entirety, have I somehow slighted the Lord? I think we’ve reduced the Scriptures to a potpourri of pithy sayings. I know that when I sit down and read an entire book of the Bible in one sitting it speaks in a way that no piecemeal reading will ever match. No rending of each verse to wring every ounce of meaning out of it, but just sitting down and reading a book all the way through. And while I admit that some books like Psalms or Proverbs are collections, Paul’s epistles were never intended to be read as a New Testament version of Proverbs. Nor were the Gospels. They have an arc in their writing that carries its own meaning, and when we neglect to read them in the form they were designed to be read, we miss more power and wisdom than we realize. Moving away from piecemeal study into a more holistic handling of each book will carry over into a greater understanding of the entire testimony of Scripture. Our quiet times won’t be the same. Meditation on the Scriptures won’t be on just this verse of that, but on entire books, and possibly the whole of God’s revelation to Man. An old book was entitled Your God Is Too Small. Well, I think our Bible reading is too small, too. Instead of chapter and verse, we need a more macro approach to the Scriptures that imparts a holistic view of the entirety of God’s speaking to Mankind. Or we can keep on playing Rock, Paper, Scissors with the words of the Lord.